1. They sure know how to build ROADS – from back highways into Mt St Helens to 6 lane freeways in LA to the mad twists of Highway 1 along the northern Californian Pacific Coast. A road trip in the US is easy and fun. 2. They like FOOD (too much) – every freeway junction has a bewildering forest of signs advertising fast food chains. Portions are, to put it delicately, on the large side. The abundance of cheap and not very healthy food is evidenced in the abundance of American waistlines. 3. And from the above two qualities, they believe in making life COMFORTABLE. From huge autos and mobile mansions (RVs); to logical city grid systems; to clear road signage; to one-stop shops for absolutely everything you might or could ever need [Walmart]; to free internet where you stay (or often where you eat); to paying for petrol [gas] by credit card at the pump (why haven’t we done that yet? ]; to big houses filled with stuff; to soft chairs in a megachurch. [I was tempted to add here ‘to a soothing message and comforting worship’ – but that wouldn’t be fair to the place we were at. But its easy to see how an intense culture of personal comfort poses a pervasive threat to Jesus’ call to self-sacrifice]. 4. They live in the most marvellous and rather big COUNTRY. You could spend a lifetime exploring the diverse land and city-scapes. Real wildlife, real wilderness (lots of it) and a real outdoor adventures await. Compared to the small safe domesticity of a little island, the expansive grandeur of the US is thrilling. 5. They live in a dramatically UNEQUAL society. From mansions displaying extravagant wealth to humble shacks; from those who succeed in a Western capitalist culture to those left behind on the streets; from the prosperity and success of European colonisers compared to the (to my eye) broken, defeated and virtually invisible culture of the native Indians. A hero of mine, Johnny Cash has a great song about this. 7. They have a great CLIMATE with real winters and real summers as opposed to our 4 seasons of rain, cloud and occasional sun. 8. 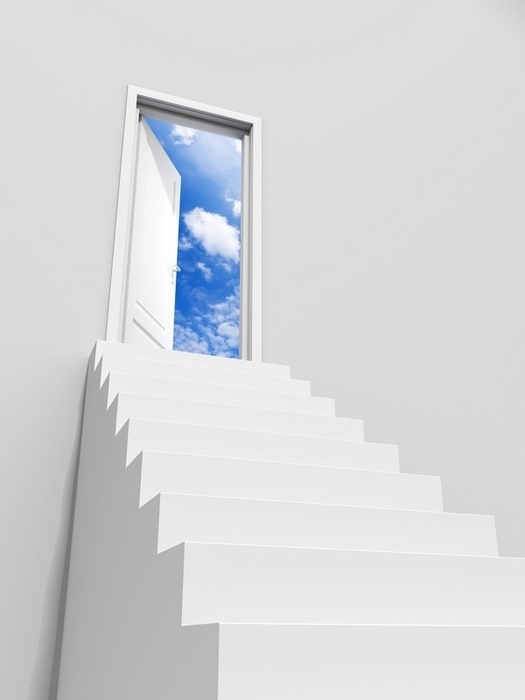 They make everything PERSONAL: Example – there are not so much real estate companies as real estate sellers. ‘Buy this house from x’ – with big picture of a smiling perfect-teethed x. And I guess this feeds into a celebrity culture of the worship of the successful (beautiful) individual. And the celebrity culture is transposed into the church with its successful pastors (and wives), with perfect teeth (see 9) running successful businesses churches, but I digress. 9. They value PERFECT TEETH – surely a good thing, especially for dentists. 10. They obey RULES. This includes the rules of the road; rules in campsites about no noise between 10pm-8am; rules about staying on trails; rules about no litter. 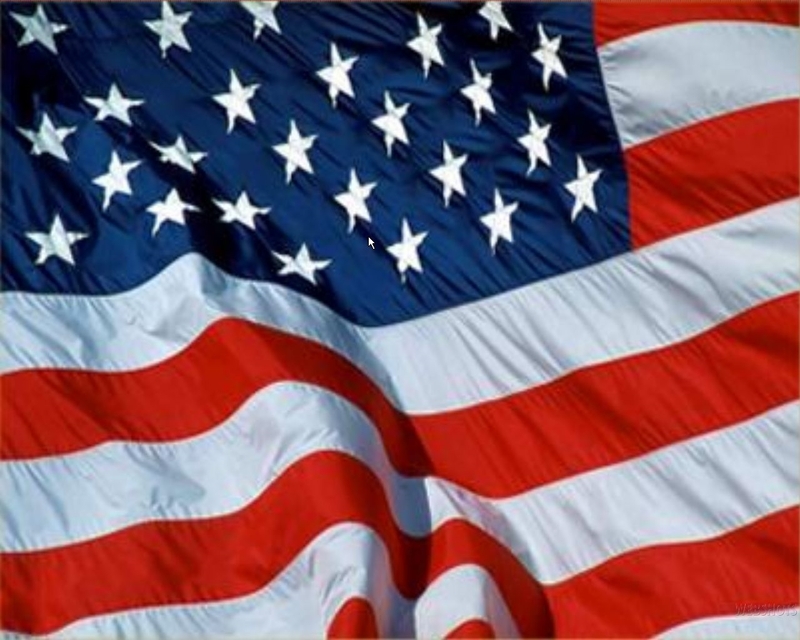 This could be put more positively – there seems to me to be a high sense of ‘civic virtue’ and belonging and participation in ‘being American’. A trivial example – two ‘dudes’ on a mountain hike take a short-cut off trail and start sliding down the mountain, dangerously dislodging rocks on the way. Immediately numerous hikers shout at them to get back on trail, calling them stupid and various other adjectives. I suspect the level of corruption in public life in the USA is less than in Ireland. In a country where, IMHO, the ‘Republic’ has been betrayed by generations of self-interested politicians glad to profit from elected office (I don’t exaggerate, see C J Haughey and Bertie Ahern, Ivor Calelly etc] and, it must be said, a culture where large numbers of the population routinely evaded tax and participated in ‘soft corruption’ – such a sense of civic belonging is refreshing. All too often here, if someone is behaving in an antisocial way, no-one says anything. Either because they are afraid of violence, or because others will not back them up, or because no-one feels it is ‘their business’ to interfere. 11. They are fantastically ORGANISED. We experienced the National Park system in our camping trip : efficient; informative; practical; helpful; fair; great online booking system, brilliant rangers. Can’t give higher praise. 12. They WORK HARD. At work by 7am. Few holidays. Competitive culture. Success available to those who knuckle down. No favours expected or granted? 13. Lastly and very importantly, they are wonderfully HOSPITABLE. My daughter calls Americans ‘friendly and bouncy’. They don’t treat customers like an annoying distraction (an Irish trait). They seem to believe the best about people, are positive, optimistic, patient, wonderfully generous and believe that you ‘having a nice day’ really matters. 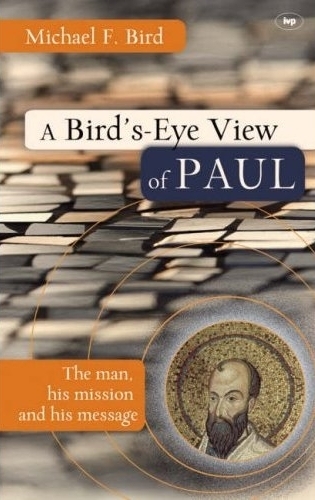 We’re continuing Bird watching via A Bird’s Eye View of Paul: the man, his mission and his message by Michael Bird by looking at ‘stories behind the story’ – the background themes of Paul’s thought. Better get a move on in this series .. the last one we’ll briefly look at is the church (ekklēsia). The apostle spent his whole ministry engaged with communities of believers variously called the people of God, the body of Christ, beloved, elect and saints. “The ekkēsia then, is the people of God, called to be the new Israel and the renewed humanity (e.g. Col. 3:1-17). The church was to be charismatic (Spirit endowed), multi-ethnic (Jew and Gentile), Christocentric (Lord’s Supper, baptism and imitation of Christ), unified (baptised into one body), part of society (mission), but not a reflection of it (holiness). This raises the question of course of how much this theological ideal works out in reality.The tension between what ‘ought to be’ and ‘what is’ in many ways shaped Paul’s ministry and of course continues to be as relevant as ever today. I wonder which characteristics you see working well in your experience of church and which ones are weak or even missing? Sundays on Mark (26) Who is the greatest? This extremely well known passage in Mark is packed with gems. The reversal values of the kingdom run directly counter to those of the world. Human nature, typified in the disciples, wants status, to be well thought of, to impress others, to be successful, and to have authority over others. Not so in the kingdom of God. Members of the kingdom are to be servants, looking to the interests of others rather than themselves. The child Jesus draws into his arms has no authority and autonomy, is under the control of parents, lacks adult ‘rights’, and is not ‘looked up to’ by his/her elders. Jesus is not only turning the disciples’ ambitions upside down, he is also issuing a challenge to all who would follow him. Rather than seek the company and approval of the successful, the powerful, the rich and opinion shapers, they are to seek out and welcome the powerless and the apparently insignificant. And, against all expectations, as they do this they not only welcome Jesus, but the Father. This is the surprising way of God in sending a humble servant-Messiah. This is to be the surprising way of his people in a world obsessed with self-advancement and ‘my rights’. In reality Christians have all to often fallen for the tempatations of folowing the idols of greed, power and success. How do I serve others? How does the church community I belong to serve its local community, especially the weak and the powerless? What do I need to repent of in terms of ‘selfish ambition’ and quest for success? 33They came to Capernaum. When he was in the house, he asked them, “What were you arguing about on the road?” 34But they kept quiet because on the way they had argued about who was the greatest. It is the Third Lausanne Congress on World Evangelization running from 18-25 October.The first was in Lausanne in 1974 and the second in Manilla in 1989. Cape Town 2010, held in collaboration with the World Evangelical Alliance, will bring together 4,000 leaders from more than 200 countries to confront the critical issues of our time – other world faiths, poverty, HIV/AIDS, persecution, among others – as they relate to the future of the Church and world evangelization. I’ve more than a passing interest in evangelicalism (I teach a MA course on it, have written a book about it, and teach at an evangelical institution), it’s safe to say that Capetown 2010 is a big deal in the evangelical world. Lausanne 1974 was of huge significance. While I was much too young to know anything about it at the time 🙂 it played a major role in reconnecting evangelism and social action in a re-shaped, less fundamentalist, and more culturally engaged evangelicalism – a trend that is still being worked out today in emerging, missional and incarnational conversations about church and mission. As a young Christian I found myself identifying with the Lausanne Covenant and for the first time getting a sense of the global nature of the church. John Stott, played a key role and I grew up as a Christian reading his books. As stated above the big issues this time are different. Most participants are rightly from where most Christians are – the Global South. There will be more laity; more women. The topics will revolve around issues of globalisation, other world faiths, HIV/AIDS / training leaders and so on. I confess to an innate scepticism about many Christian conferences & events. I wonder how much actual impact many of them have after the buzz of a day or two. But Capetown 2010 is a unique event with a unique capacity to bring together men and women leaders from all over the world; to think through together both beforehand, during and after, the challenges of reaching the world with the gospel and about issues that increasingly affect us all. It’s worth checking out resources already available and ones that will become available. You are chair of the Lausanne Theology Working Group and are involved in the upcoming global congress in Capetown in October 2010. What are some of your hopes for that congress? Lausanne, of course, is committed to world evangelisation, that is in its bloodstream. I would hope that Capetown will result in many positive partnerships among people who are committed to the gospel and living the gospel in the world. I hope that Capetown will continue to affirm the holistic and integral understanding of mission that is there in the Lausanne Covenant – that evangelisation is not just preaching, it is also living and demonstrating; it is words and works. I also hope that Capetown will have an energising effect on Christian community, that it will give people a fresh sense of the importance of sharing the gospel with the world and that there are huge needs in the world that we need to be exposed to. There are millions of people who have never even heard of Jesus; that there are millions of people who have no part of God’s Word in their own language. There are enormous realities of the needs of the lost world of those who do not yet know Jesus that I hope that Capetown will inspire the church take up. My other hope for Capetown is that evangelicals will be willing to take a self-critical look at themselves and hear the prophetic word of Jesus to ‘Repent and come back to me’. For unless God’s people are living in God’s ways and look a little more Christ-like, then what is the world supposed to want become Christian for? We can’t be bad news and preach good news. We actually have to be the good news that we are preaching. If we are going to share Jesus with the world we have to be like Jesus and that includes loving our neighbours as ourselves, loving our enemies, non-retaliation, humility, seeking justice, compassion for the poor – all the things the Bible tells us we ought to be doing. The Church has got to be the church? Yes, that’s right. One of the phrases of Lausanne is ‘The Whole Church Taking the Whole Gospel, to the Whole World’ which is a wonderful slogan (which is not unique to Lausanne). The difficulty is that it can make the church just like the postman. If the postman who delivers the letter to your door was committing adultery the night before, to you that does not matter as long as you get the letter. However, the church is not just a delivery boy for the gospel, the church is supposed to be the embodiment of the gospel. We are to be a reconciled community of fallen sinners who have come to love one another through the Lord Jesus Christ. The quality of life of the church is to be a demonstration of the gospel alongside the delivery of the gospel. In a couple of previous posts I’ve been musing about continuity in the Bible between this world and the one to next. And let me say these are musings – thought sketches and very much an ongoing conversation! In this one the question in mind is what continuity might there be in terms of human culture between this world and the new creation? Remember Chris Wright saying a text like Rev 21 was ‘more than metaphorical’ – the very best of human culture, purged of sin or imperfection will take its joyous place in the renewed new heavens and earth. That’s a wonderful image with good textual support. What is the new Jerusalem but a fantastic image of a human cultural creation (the city) now perfected and renewed, beautiful and glorious in a new world where God once more dwells with man and man with God? Here’s the ‘but’ – while agreeing with the idea of some sort of continuity and rejecting any form of world-denying pessimistic eschatology, there is also mind-bending discontinuity. This tension comes out well in Paul’s comparison of the ‘spiritual’ body versus the ‘natural’ body in 1 Corinthians 15. There is some form of continuity (the body) but flesh and blood cannot inherit the kingdom: the resurrection body is fitted for a different dimension of existence. I’m questioning I guess some who seem to me to make a leap from ‘there is continuity between this world and the next’ to making this a central theological motivation for how we are to live in the here and now. For example, some urban ministries make a big play of continuity in terms of the heavenly city being used to provide motivation, inspiration and theological underpinning for urban ministry in the here and now. Or others do a similar thing with a strong continuity theology being used to underpin environmental action and concern. But when you start asking any detailed questions it immediately becomes apparent that we don’t have much clue what we’re talking about. – Buildings? What sort? What era? Just posh ones? Or mud huts? – Art? I hope not just the endless religious Renaissance art of the Uffizi! – Roads? Cars? What make, what period? – Literature – where to begin? How can ‘this world’ literature with all its struggle with moral ambiguity, pain and sorrow ‘continue’ or ‘fit’ in a new creation? – Music? Presumably – but Bach or Mumford & Sons or saint Bob or all of the above? When someone says that the work we do now really matters in that it will ‘continue’ into the redeemed world to come, I’m not sure what that means. I’m not for a moment denying the huge implications of the world to come in the ethical framework of the NT. I’m just pointing out the impossibility of seriously trying to detail how exactly continuity between this world and the one to come actually might look like. I guest posted on this sort of thing a while ago on Jesus Creed and there was a good discussion. Scot also has a beautiful reflection on ‘Leaf by Niggle’ as a parable of the relationship between this world and the next and how what we do in ‘this world’ really matters and will be perfected in the next. But that’s my point – that’s the best we can do. Tell parables, dream images, think in pictures, be inspired to live now with the hope of glory in our hearts. As I think on this I’m not actually that convinced that you need the continuity argument to provide a basis for environmental concern – it is there in Genesis. I’m not convinced you need a continuity theology to provide a foundation for urban ministry. Paul sure didn’t do that. His motive was maximising missionary effectiveness. I’m not too convinced that you need a continuity argument for holistic mission – it is there in Jesus and his preaching on the kingdom of God: it’s there in Genesis and men and women made in the image of God. I’m not too convinced you need a continuity argument to provide massive inspiration for living ‘the life of the future’ in ‘the here and now’ in a way that is pleasing and honouring to God. As Stephen Williams argues, the greatest motive for all Christian service ‘now’ is built not so much a strong continuity between this world and the new creation, but on a passionate love for God and love for neighbour. Comments and push backs, as ever, welcome! 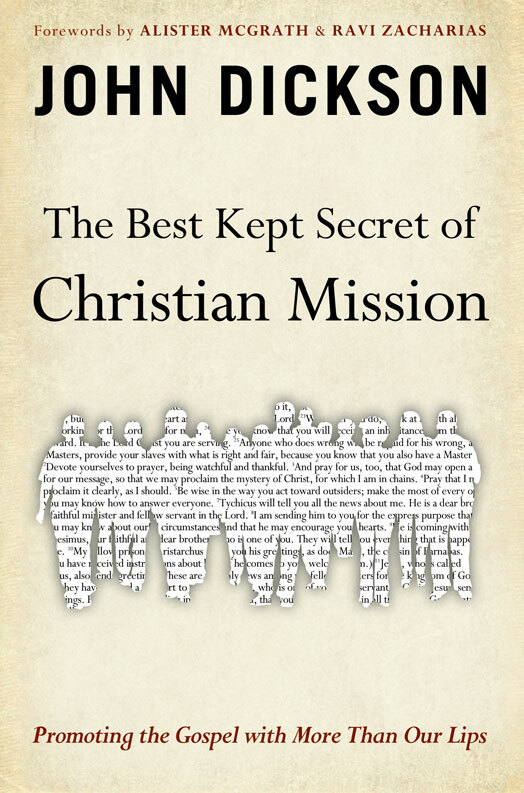 In the next chapter of The Best Kept Secret of Christian Mission ( ‘Jesus Friend of Sinners’), John Dickson unpacks 1 Cor 10:21-11:1 and especially 10:31-11:1. This is challenging stuff that ties in with missional thinking & discussions that we’ve been talking about on this blog – and are trying to think through in the great wee church that I’m a part of. 31So whether you eat or drink or whatever you do, do it all for the glory of God. 32Do not cause anyone to stumble, whether Jews, Greeks or the church of God— 33even as I try to please everybody in every way. For I am not seeking my own good but the good of many, so that they may be saved. 1Follow my example, as I follow the example of Christ. This is what Dickson calls a ‘salvific mind-set’. It is not adding mission or evangelism to busy lives or piling on unrealistic expectations on ordinary Christians to be superstar evangelists (this sort of unrealistic pressure only generates guilt and feelings of inadequacy). Dickson does not spell this out, but what sorts of radical changes might be implied in both personal and church life to re-orientate all of life outwards to the mission of Jesus? Jesus’ dramatic confrontation with the demonic is a persistent thread, especially in the Synoptic Gospels, that is hard to ignore. Such accounts raise all sorts of questions for us modern readers. The shift from transfigured glory straight into spiritual warfare points to how Jesus’ ultimate vindication comes only after a ‘death and life’ struggle with forces of evil. ‘Was this a case of epilepsy, attributed by a less knowledgeable culture to demonic forces?’ In other words, we have advanced in medical knowledge and can re-interpret these stories according to our superior knowledge.? Many have read the passage this way – to me it misses the point of Jesus’ healing power over both physical and spiritual forces. The failure of the disciples to heal the boy might have been for two reasons – their own lack of faith (Jesus is exasperated) and the particular power of the evil spirit (which could only be overcome by the prayers of Jesus himself). The story however is all about the identity of the healer. Jesus willingly responds to the desperate, doubting, human faith of the father with his confident rhetorical question ‘If I can?’ The following confrontation is part of an increasing climax with evil in Mark. The apparent death and coming back to life of the boy foreshadowings Jesus’ fate to come – as Jesus makes explicit at the end of the account. Evil can only be defeated by the death and resurrection of the Messiah. Reflection: Imagine yourself as one of the disciples – a sense of failure at your inability to heal and bewildered and disorientated by his talk of death and resurrection.Yet drawn again and again to the healing, restoring, mysterious, unpredictable and magnetic presence of the man from Nazareth. 14When they came to the other disciples, they saw a large crowd around them and the teachers of the law arguing with them. 15As soon as all the people saw Jesus, they were overwhelmed with wonder and ran to greet him. 16“What are you arguing with them about?” he asked. 20So they brought him. When the spirit saw Jesus, it immediately threw the boy into a convulsion. He fell to the ground and rolled around, foaming at the mouth. 26The spirit shrieked, convulsed him violently and came out. The boy looked so much like a corpse that many said, “He’s dead.” 27But Jesus took him by the hand and lifted him to his feet, and he stood up. 30They left that place and passed through Galilee. Jesus did not want anyone to know where they were, 31because he was teaching his disciples. He said to them, “The Son of Man is going to be betrayed into the hands of men. They will kill him, and after three days he will rise.” 32But they did not understand what he meant and were afraid to ask him about it.